Aviator-shaped sunglasses with black frame. – Titanium finishing temple tips covered with white python leather, size 140mm. – Nose bridge, head piece, screws in titanium finishing. – Gray polarized lenses, size 75mm. Special sunglasses case made with hand sewed and selected dark brown calf leather, processed according to the traditional artisan techniques used in the 1800s, giving the case a naturally aged look. Magnetic closure. 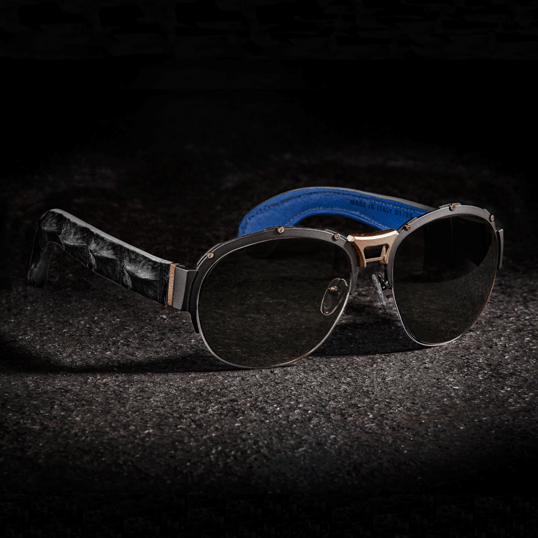 – Bronze finishing temples tips covered with black python leather, size 140mm. – Nose bridge, head piece, screws in bronze finishing. 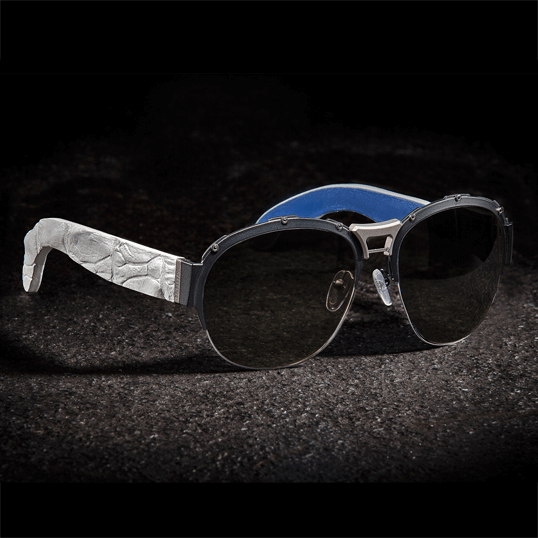 – Titanium temples coated with white crocodile leather, size 140mm. – Titanium nose and screws. Aviator-shaped sunglasses with bronze frame. 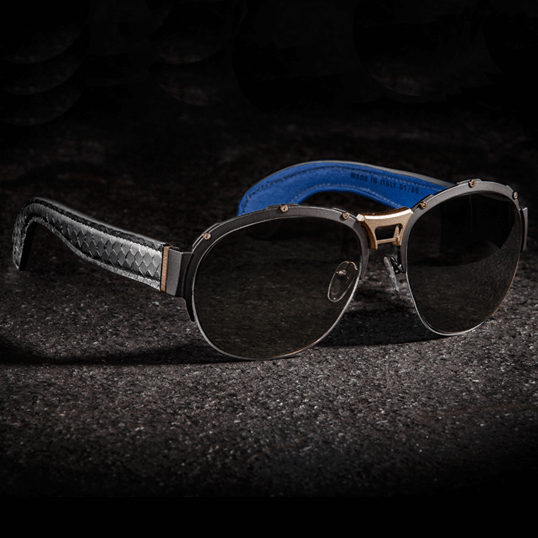 – Black finishing temples coated with dark brown crocodile leather, size 140mm. – Nose bridge, head piece, screws in black finishing. – Brown polarized lenses, size 75mm. 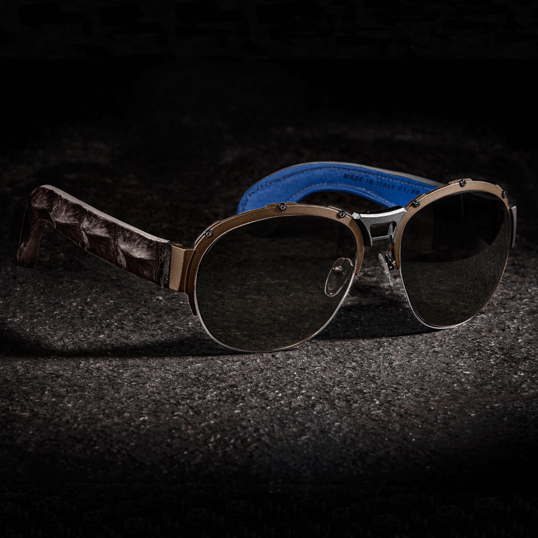 Aviator-shaped sunglasses with titanium frame. 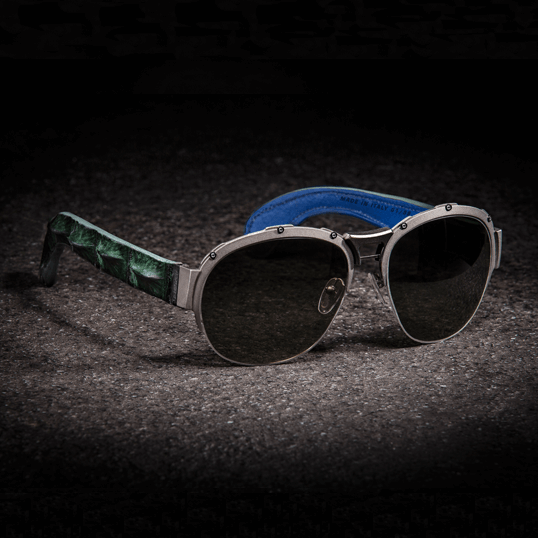 -Titanium finishing temples coated with green crocodile leather, size 140mm. – Green polarized lenses, size 75mm. 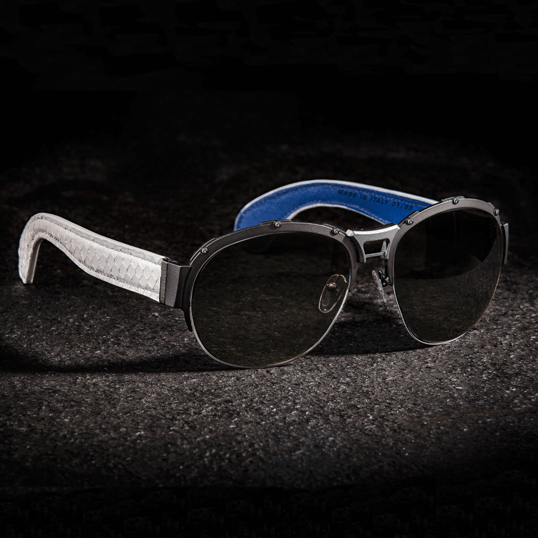 – Black finishing temples coated with black crocodile leather, size 140mm.